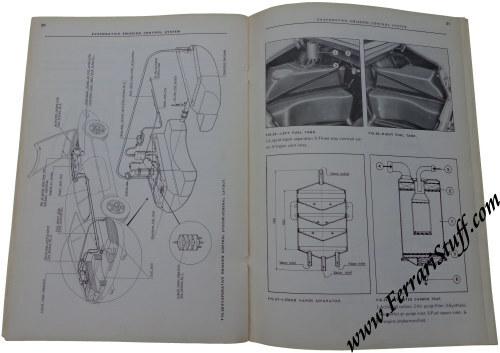 Ferrari factory original Ferrari 365GTB/4 Daytona Chassis Service Manual Abstract for the 1973 version WITH exhaust and evaporative emission control system. 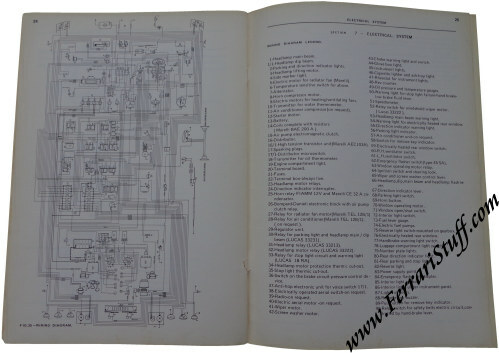 Although it is called the "chassis manual", it is actually the engine manual. 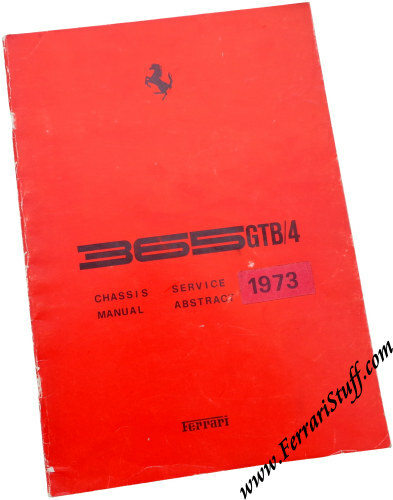 Ferrari Print Number 46/71, but issued in 1973 for the 1973 USA versions. 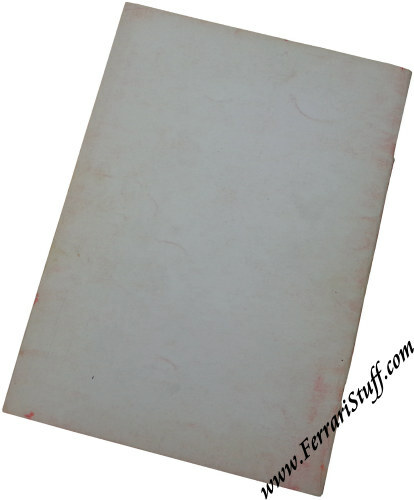 It measures approximately 21 x 29.5 cm or some 8 x 11.5 inches which comes close to European letter size (A4).